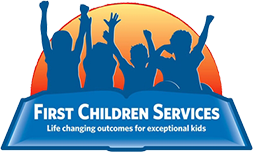 "Life-Changing Outcomes for Exceptional Kids"
First Children Services provides behavioral assessments for children throughout New Jersey and Southeastern Pennsylvania. Children can engage in a variety of behaviors that can impede their ability to learn, grow and socialize. Many children require a behavioral assessment to understanding the function (purpose) of their behaviors. A common misconception is that a Functional Behavior Assessment is an intervention, when it is actually a process or tool for understanding the function (purpose) of behavior. The results of an FBA will assist in creating an effective Behavioral Intervention Plan (BIP).